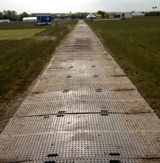 Contact UK Trackway Hire today for a prompt quote! We can be contacted 24 hours a day, 7 days a week, 365 days a year. We are always happy to answer any enquiry.